Veterinary experts recommend having your pet spayed or neutered as a part of their overall healthcare. Most pets are not purebred animals and millions of unwanted cats and dogs must be euthanized by animal control agencies each year. At Stanton Pet Hospital in Stanton, CA, we provide safe spaying and neutering surgeries to safeguard your pet’s health. Spaying is the term given to the removal of the ovaries and uterus of a female animal to prevent reproduction. Neutering is the term given to the surgery to remove the testicles of a male animal to keep it from reproducing. Spaying and neutering surgery permanently prevents pets from having unwanted litters. These procedures are done routinely by veterinarians and only rarely have complications. Generally, your pet will bounce back from the surgery after a few days. Spaying helps to prevent uterine infections and breast cancer in female pets. It keeps female animals from going into heat and the resulting behavior problems. Neutering prevents testicular cancer in male pets. Male animals wander less often, looking for mates and are generally less aggressive. Spay/neuter procedures cost less than caring for a litter of animals and save you the inconvenience of having to find homes for them. Spaying and neutering also reduces the community costs of dealing with unwanted animals. For dogs, spaying and neutering is generally recommended around the age of six to nine months. For cats, spaying and neutering is usually done by the age of five months. However, veterinary experts say that the procedures can be done as early as 8 weeks of age. Additionally, it’s never too late to have an animal spayed or neutered to prevent reproductive health problems, as long as their general health allows it. If you have an adult animal that has not yet been spayed or neutered, talk to your veterinarian in Stanton about the surgery. 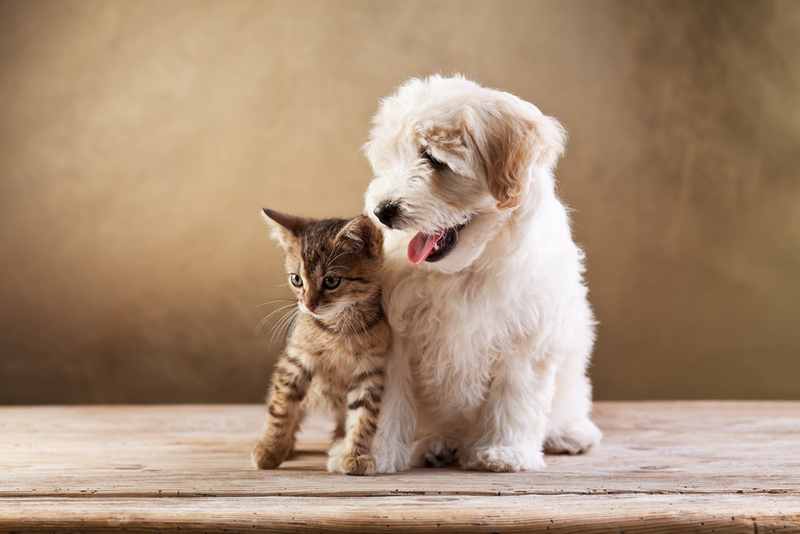 Dr. Korinne Kavanagh loves animals the same way you do, and she is dedicated to caring for the health of her patients in Stanton, CA and surrounding areas. We offer a full-service veterinary practice, with preventive care, surgery, geriatric care, diagnostics, boarding, grooming, and emergency care. Call Stanton Pet Hospital today at (714) 828-5891 to schedule an appointment to learn how spaying and neutering can keep your pet healthier and happier.